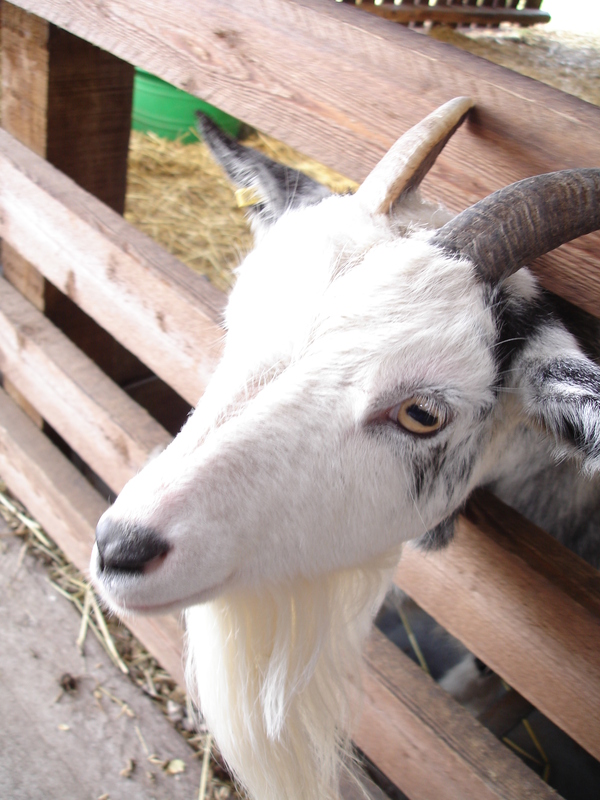 We made a fantastic discovery at the weekend – Windmill Animal Farm in Burscough. My mum stumbled across the place and thought the girls would like it so we took them on Saturday and had an absolutely brilliant time! The weather forecast for the weekend was good, but when we got up in the morning the skies were dark and threatening and Isla still had a bit of a tummy bug so I wasn’t sure a trip to a farm was the best idea, but I had already promised Lilly we were going and she was really excited about it. From the moment we set off in the car the skies started changing and by the time we arrived at Windmill Farm (via some really gorgeous scenery Parbold way that I never even knew existed) the weather had gone decidedly sunny and even almost warmish. We knew we’d arrived at the right place when we saw the old windmill (it looks like it has been converted into a rather lovely modern home so unfortunately its not part of the farm itself). We got a very friendly welcome on arrival and were allowed to pet the owner’s sheepdog, before we walked in and discovered all the other nice things that were waiting. After that we went to see the animals – we saw lots of babies including lambs and baby goats (if my memory serves me correctly they’re ‘kids’? ), they had llamas (I don’t trust them!) and a little donkey and a rather handsome horse who seemed to really want to eat my mum’s coat. I thought that Isla would like the animals because she has just started noticing her Nanna’s black cat, Alex, and gets very excited when he walks into the room, clenching her fists and making a “grrrrrrrrrrrrrr” sound! And yes, she really liked seeing the little goats popping their heads through the fences to get a closer look at the children and she was even brave enough to touch the horse a couple of times. There were some baby lambs with tight curly black wool who were so cute, as were all the black spotted little goats who kept pushing their heads as far through the fence as they could to get a good look at us. My mum and I had a coffee in the play barn before joining Isla and Lilly in the under 4s ball pool for a bit. 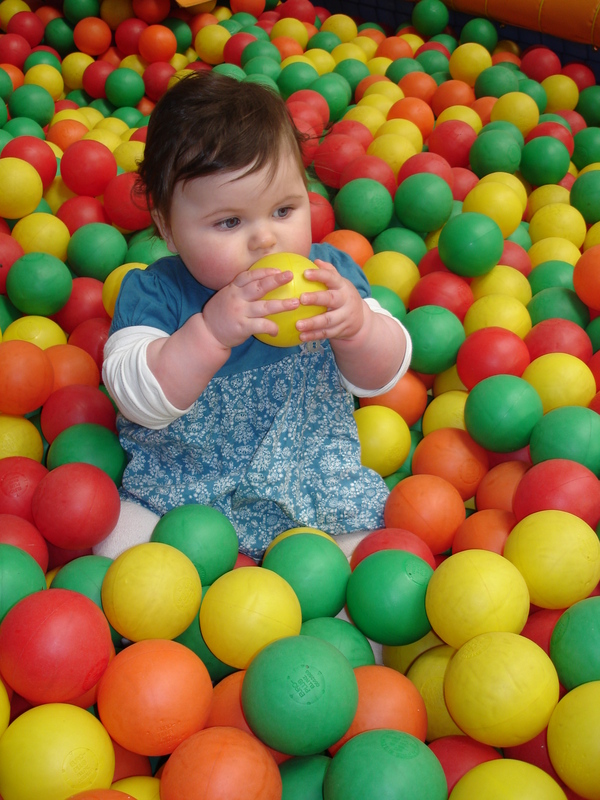 Isla was up to her armpits in balls but really loved it – not like Lilly’s first experience of a much smaller ball pool in Southport when she screamed her head off! Lilly was obviously feeling adventurous today as she climbed right up to the third ‘storey’ of the bigger play area – I was panicking a little because I couldn’t see if she was ok and knew that she wouldn’t want to go down the “tunnel slide” when she got to the top because she’s scared of them. So being an overprotective mum I climbed up after her but she was quite ok, she did say “I wonder how we’ll get down? !” but she didn’t seem too worried and we managed to slip and slide our way back down the very steep but soft stairs. 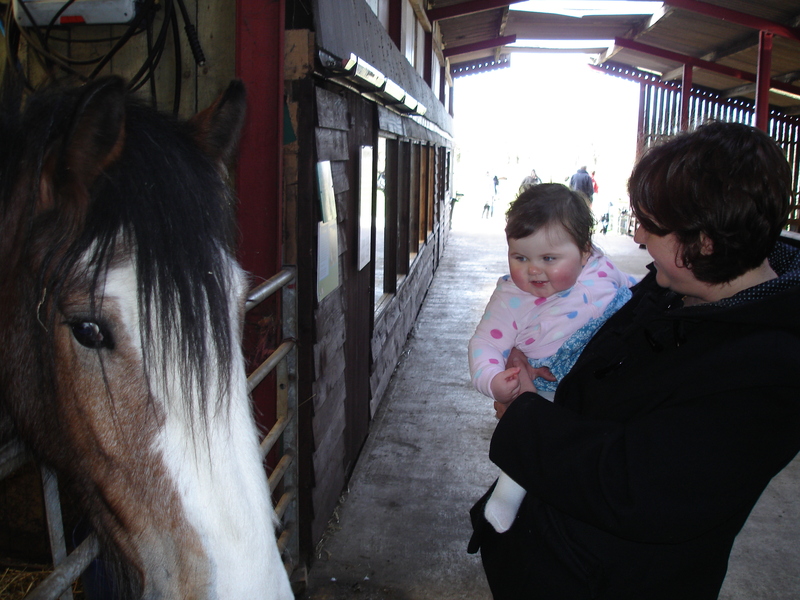 But I was really, really impressed with Windmill Animal Farm and definitely plan to go back there many times over the next few years with the girls. We’ve been to Farmer Ted’s in Ormskirk before and liked it, but felt that it lacked ‘something’ – I can’t quite put my finger on it but I much preferred this place. 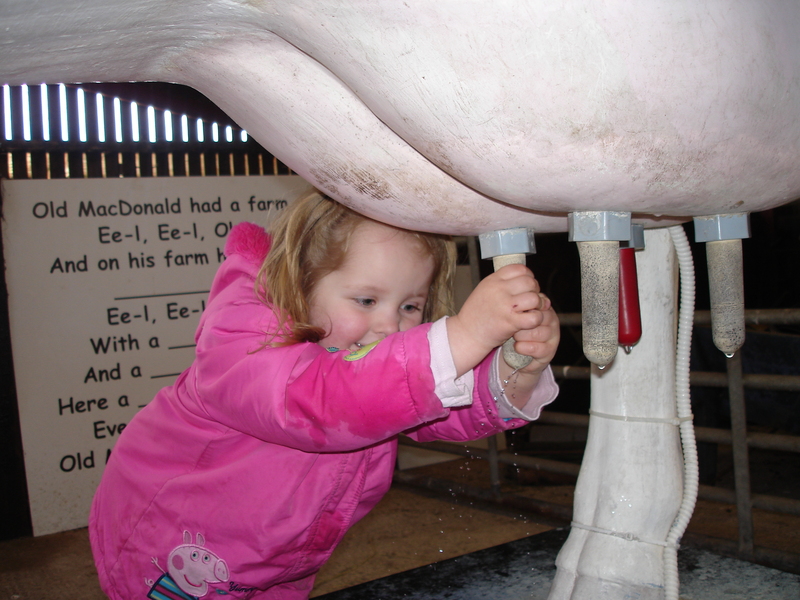 It seemed to have a bit more going on for both quite young children and 3 years plus where Farmer Ted’s always seemed a bit limited for Lilly when she was under 2. Windmill’s definitely has a better outdoor adventure playground with a better mix of equipment for all ages, and it also has a bigger and better under 4s area. I also like the fact that at Windmills they cater well for people bringing their own food. There is a cafe but it isn’t a big food operation like at Farmer Ted’s. Oh, and I nearly forgot the best thing of all, the miniature train ride! 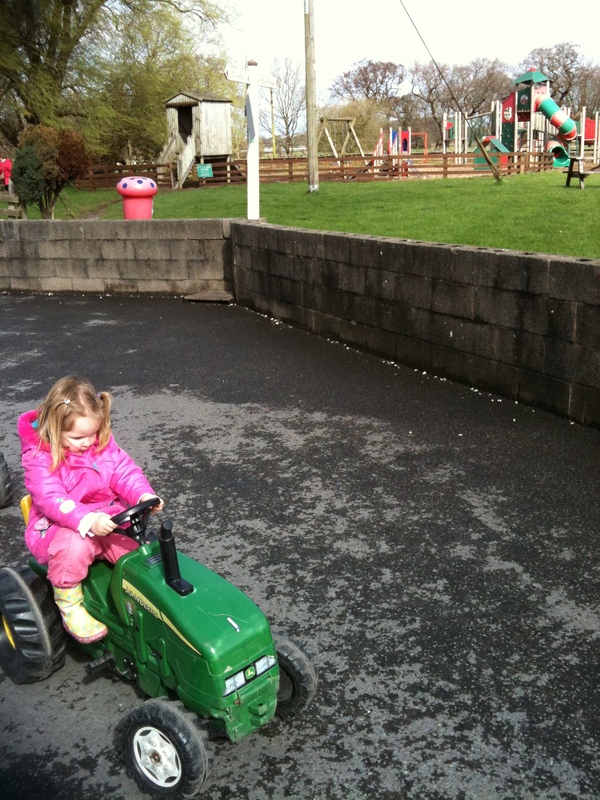 The train was running every half an hour and took us to another part of the farm with a “secret” play area where we were allowed five minutes before the train driver whistled to tell is it was time to get back on board. Lilly, being a train fan generally, loved it of course. Isla was sitting quite happily until the train actually started moving – she wasn’t too sure about it at first! But after a few cuddles and reassurance she was fine. Anyway, if you are local, or visiting, I would definitely recommend this place, we had a really, really enjoyable day and both girls left absolutely shattered, especially Isla who packed quite a few new experiences into one day! Lovely review – really sums up the farm. 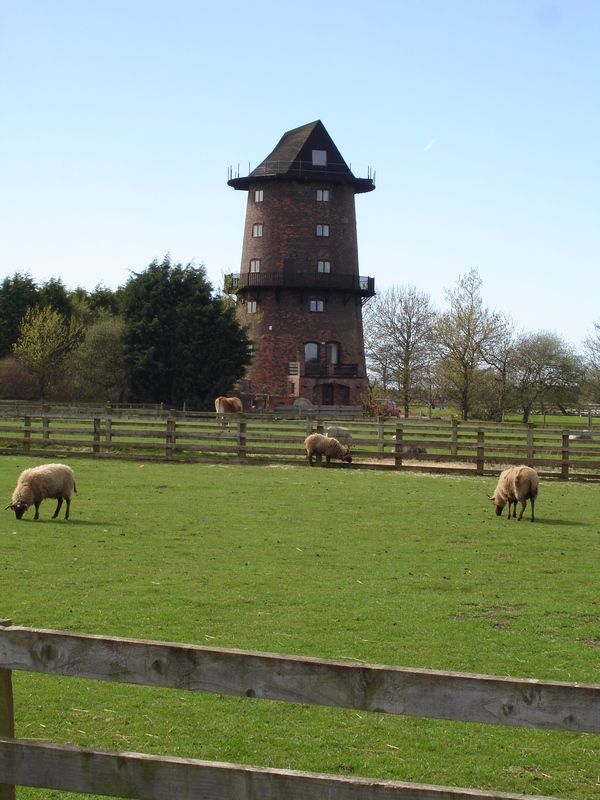 We love Windmill Farm too, a lovely day out for a family. Our girls weren’t too sure about the train ride at first either but love it now.